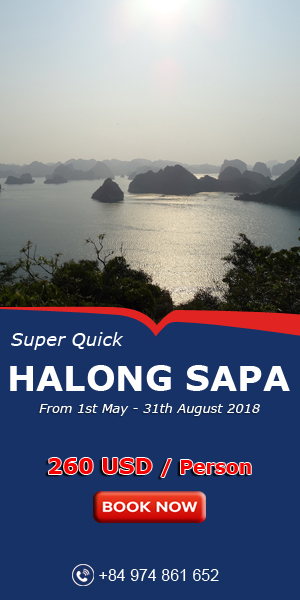 When talking about Vietnamese Street Food, we can not skip one stunning and unique in this beautiful country. It is seafood, especially Sweet Snails. There are many ways to make this delicious ingredient. But they all bring one stunning flavor when you taste it. 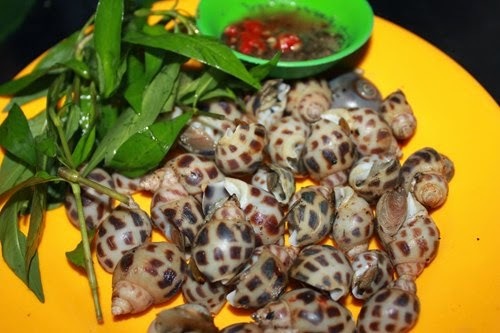 Today, I will introduce 4 dishes about Sweet Snails, which is most popular ingredient from Vietnamese Street Food. Each dish will give a different interesting flavor. 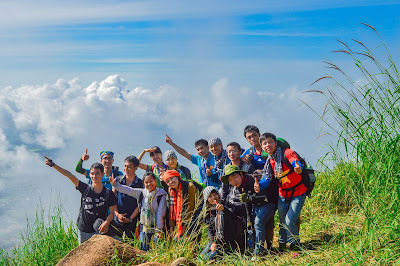 And most young Vietnamese people fall in love with it. Dish 1: Fried Sweet Snails with Tamarind Sauce. Clean Sweet Snails. Boil Oil, add minced garlic to fry until its color turn brown yellow. Next, add sweet snail and a little tamarind sauce into pan together. Fry about 5 – 10 minutes. Next add a little fish sauce and season to suit your taste. Continue fry until the sauce becomes thick. Turn off the heat and you can serve it. Remember, use when it is hot is better. Eating with Vietnamese Mint Leaves will bring to you a unique flavor from this ingredient. Dish 2: Steamed Sweet Snails with Sliced Ginger. 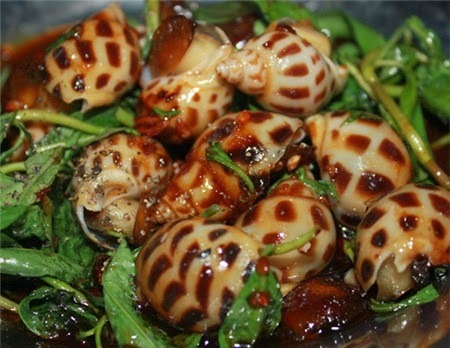 Many people love sweet snails because even you cook it in any way, its natural flavor will not disappear. 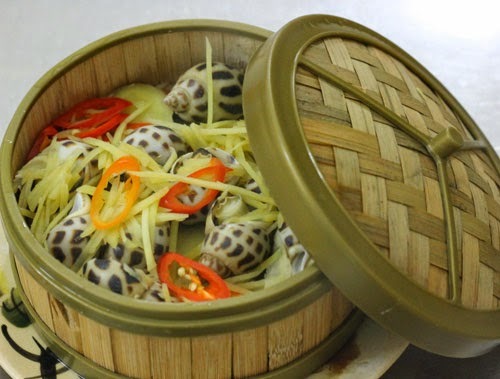 Steamed sweet snails wilth sliced ginger is one of amazing dishes like that. 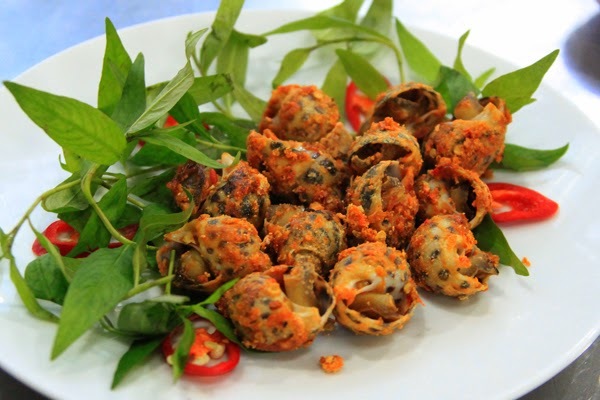 The combination between ginger, chili and sweet snails will bring an amazing flavor in your mouth. Meat of these snails still keeps the fresh, tough and sweet which will give you many interesting feeling when tasting it. Dish 3: Grilled Sweet Snails Dish. 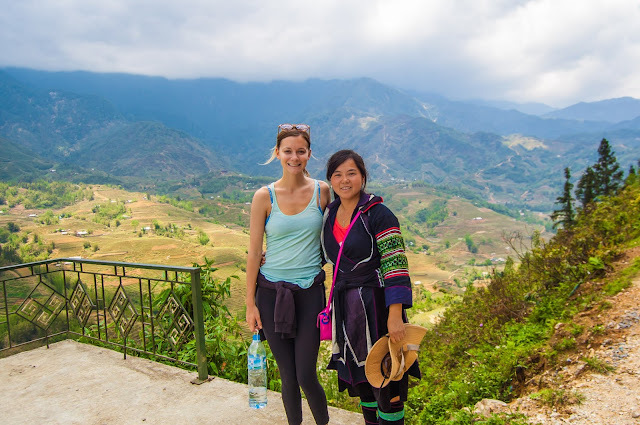 Here is one of my favorite Vietnmese Street Food. Using when it is still hot, with dipping sauce and Vietnamese Mint Leaves is the best choice for me in rainy days. The cover of them after grill turn yellow and you can not deny that its flavor is amazing. Dish 4: Roasted Sweet Snails with Chili Salt. Most young Vietnamese people fall in love with this dish. The process for making it is really easy. Clean Snails, next steam them about 5 minutes. Then turn off the heat, throw away water and wait to get cold. Next step, add a little salt, chili powder and necessary seasoning for this dish into pan, roast about 2 – 3 minutes, season to suit with your flavor and add more snails into pan, roast more 5 – 10 munite to absorb all seasoning. And finally, you can serve it. To sum up, with Vietnamese Street Food, each ingredient you can create many different dishes for yorself, family and friends. One of them is Sweet Snails. 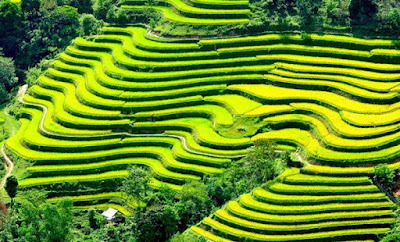 If you have a chance to visit my country, you should try it at least once time, and I bet you will not regret. However, in your own country, you still can make these stunning dishes through ways I told you above. Good Luck to you.